Originally conceived as hard-wearing work trousers, jeans have become a real cult object of the fashion industry over recent decades. Whether young or old - almost everyone owns at least one pair of jeans and, over time, jeans labels have come up with countless classic styles. 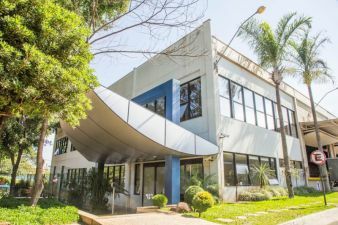 (Picture 1-5) With around 1,000 employees and a capacity of five million metres of fabric per month, Covolan is one of the leading companies in the Brazilian textile industry. All processing steps from yarn to finished fabrics are carried out in-house. Photos: Covolan Indústria Têxtil Ltda. The Brazilian company Covolan Indústria Têxtil Ltda provides the material for the fashionable jeans look with an important added extra: the company was the first textiles company in Brazil to be awarded Step by Oeko-Tex certification based on their proven sustainable production conditions and social responsibility. The clearly defined objective of Covolan is sustainable development, which comprises, on the one hand, the continuous improvement of quality and productivity and, on the other hand, a reduction in the use of natural resources and minimisation of waste generation. Frederico Maziero, Industrial Director at Covolan, explains: “In our fast-moving industry, it is essential that we use innovative products to meet our customers' demands for new trends. Ideally we can even pre-empt them.“ These customers are well-known jeans labels located mainly in Columbia, Mexico, Peru and Spain who, for their part, also adapt to their requirements of their customers. 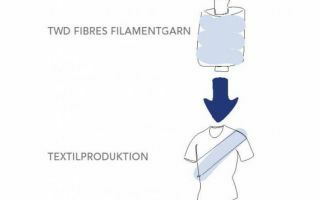 Given the increasing awareness of increased product safety for clothing textiles, Covolan was thus quick to take this opportunity to have their manufactured fabrics inspected in accordance with the human-ecological requirements of the Oeko-Tex Standard 100. "With the certification of all of our articles in accordance with the Oeko-Tex Standard 100, we can offer our customers reliability; with the Step by Oeko-Tex certification, we can demonstrate responsibility." Covolan Indústria Têxtil Ltda. was founded in 1966 as a producer of materials for the clothing industry. The company still manufactures at the two Brazilian locations of Santa Barbara D'Oeste in the state of São Paulo and Petrolina in the state of Pernambuco. 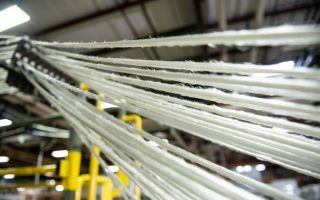 With around 1,000 employees and a capacity of five million metres of fabric per month, Covolan is one of the leading companies in the Brazilian textile industry. The company's range includes denim material from pure cotton, cotton-polyester mixes with and without elastane as well as textiles with special treatments such as printing and finishes. All processing steps from yarn to finished fabrics are carried out in-house. All processes in weaving, dying and textile finishing are subject to a highly effective quality and environmental management system. Optimisation measures are constantly implemented throughout the whole company in the context of sustainability. These primarily include the avoidance of harmful substances in production, strict controls for waste water and exhaust air, optimised energy usage and health and safety. 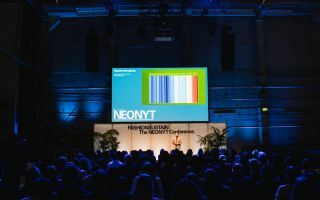 Sustainability is becoming increasingly important and is already realized in diverse ways in many companies. Frederico Maziero, Industrial Director, provide some information on sustainability at Covolan. Sustainability is treated as the most important management issue in our company. Sustainability is neither treated in second place nor as a superficial matter, nor used as a simple marketing tool or fashionable buzzword. On the contrary, we adopt practices that produce significant results for both the environment as well as our community. We understand that sustainability is the basic condition for the success of our business, securing its implementation in all our production processes. We understand that the main points that distinguish Covolan are not only related to environmental sustainability but include social and entrepreneurial responsibility as well. We are a company that performs in an ethical way, in tune with our principles and values, which are clearly established in our daily routines. From year to year, respect to our employees, customers and suppliers as well to our community, reflect our positive results and growth. This respect creates a commitment of all personnel involved, allowing our evolution by means of constant improvement of our processes, reducing negative impact on our environment. We decided on both Step and Oeko-Tex Standard 100 certifications, understanding that besides corroborating our other certifications so far obtained, these give us credit for the several actions implemented during the last years in terms of Quality Management, Health and Safety and Chemical Management in the production areas, as well as Social Responsibility and Environmental Management. It is our understanding that with the Step Certification we have the most complete and thorough evaluation of our management practices, contributing for the growth of our organization. We are certified in accordance with ISO 9001 and ISO 14001 and practice additional quality management with efficient and successful programs (5S), with educational and orientation actions in place. In all areas, processes and projects remit to sustainability that is implemented in our daily business, making sure that these became common practice among all our employees. We foresee many benefits and opportunities with our sustainable management: economy through cost reduction in processes, recycling of materials, reuse of water and electrical energy. Additionally, we create satisfaction for our employees through increasing environmental awareness, allowing working in a company committed to sustainability with a good image for its consumers and the community in general. Oeko-Tex started the “Company of the Month“ campaign in 2011 to put the spotlight on companies in the textile industry who distinguish themselves due to their above-average commitment to matters relating to product safety and sustainable production. The application to be "Company of the Month" is open to all businesses with a valid Oeko-Tex certification. Each month, an Oeko-Tex jury will select one company from all applications received. This company will then be explicitly named and presented on the internet campaign page at www.oeko-tex.com/products and they will receive a corresponding certificate and free web banners for use in their own publications and sales channels. For the Step certification, all of the areas of the company that are of relevance with regard to sustainable production and social conditions are first analysed using a web-based assessment tool. This includes the handling of chemicals and possible hazardous materials, environmental performance measured using a wide range of criteria, the implementation of an environmental management system, company responsibility in relation to employees, efficient quality management and safety in the workplace. During the subsequent audit of the production facilities, the specifications provided by the company are verified on site by Oeko-Tex auditors and a detailed audit report is created. The results of the individual areas are collected and displayed together in a clear overall scoring system on the issued Step certificate.